MANILA, Philippines — Rain Or Shine looks to jack up its front-running record, Blackwater hopes to stop the bleeding while Alaska Milk and Magnolia try to start working their way back to the top as they figure in the last PBA play date tonight ahead of Gilas’ campaign in the FIBA World Cup qualifier final window. The Elite and the Aces clash at 4:30 p.m., then the Elasto Painters and the Hotshots collide at 7 p.m. at the MOA Arena in Pasay City. Then the league takes a two-week breather as it extends full support to the national team in its quest to make a strong finish in the world qualifiers and salvage a berth in the world joust set Aug. 31 to Sept. 15 in eight cities in China. Gilas plays Qatar in Doha next Thursday then Kazakhstan in Astana on Feb. 24. E-Painters Raymond Almazan and Gabe Norwood, and Hotshots Paul Lee and Mark Barroca play their last game with their mother teams tonight before focusing on Gilas duty. Rain Or Shine is determined to get going in chase now of a twice-to-beat advantage in the quarterfinals. The E-Painters grabbed the tournament leadership and secured an outright quarters entry on a 98-94 overtime win over Phoenix Petroleum Sunday. “We must stick together as a team and we must continue playing hard,” said ROS coach Caloy Garcia, ahead of their match against the Governors Cup champs that are off to a losing start in the all-Filipino tourney. Even then, Garcia said they can’t take Magnolia for granted. “They’re still working to regain rhythm since they have just returned into action. Pero gagaling at gagaling uli yan. Baka magaling na sila uli by the time we play them,” said Garcia. From their Governors Cup title run, the Hotshots dropped back-to-back losses to TNT KaTropa and San Miguel Beer in the Philippine Cup. 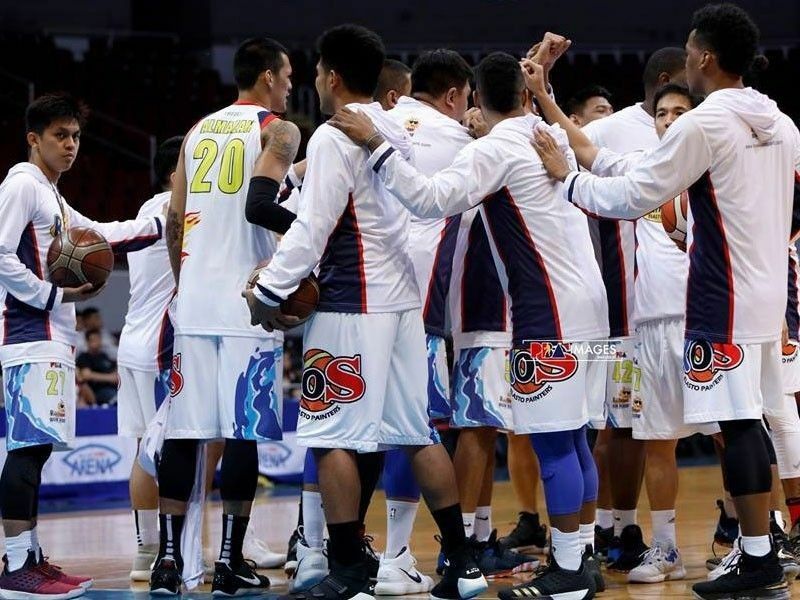 But the Hotshots are confident they would get into the groove and wage a rally that they hope to start now against the Elasto Painters. The E-Painters, however, are hinting at a great resolve to stay in the run and jack up their front-running 6-1 win-loss card. “During the break, we won’t stop working. We have to look at what are we doing right and what we are doing wrong,” said Garcia, whose team is now bound for their 11th straight playoffs in the all-Filipino tourney. He said the key is sticking together and trusting the system that they’re playing. “Malaking bagay din yung all the players are contributing,” said Garcia, mentioning the other guys stepping up when top scorer James Yap struggled with just two points in their game against Phoenix.